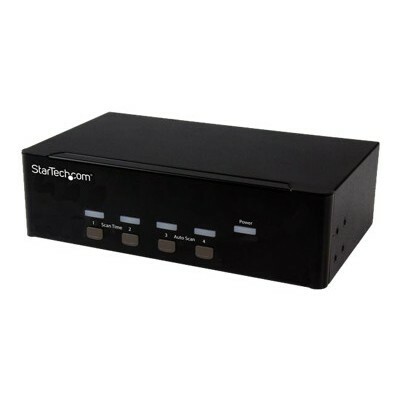 Tripp Lite - B022-004-R 4-Port Desktop KVM Switch 4-port KVM Switch Kit is the optimal solution for controlling 4 computers from one keyboard mouse and monitor. 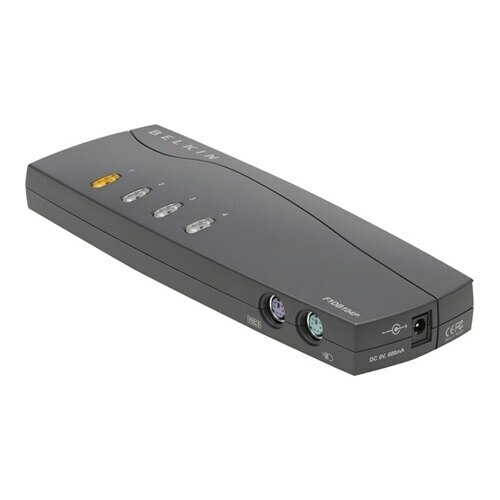 Belkin - F1DS104L Desktop 4-Port KVM Switch VGA & USB With Linksys newly redesigned SOHO KVM you can share your monitor keyboard and mouse with up to four USB computers. 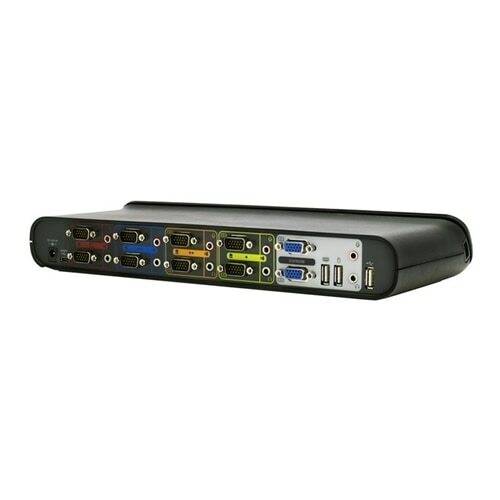 Belkin - F1DA104Z F1DA104Z Belkin Omniview Pro3 Usb & PS2 4-Port KVM Switch KVM Switch 4 Ports Stackable. New Retail Factory Sealed With Full Manufacturer Warranty. 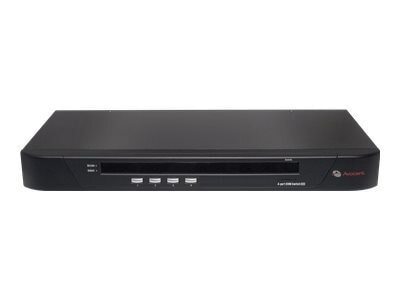 Belkin - F1DA104Z-BU F1DA104Z-BU Belkin Omniview Pro3 4-Port Kvm Switch - 4 X 1 4 X Hd-50 Keyboard Mouse Video - Desktop. New Bulk Pack. 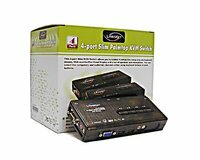 ASOUND - SV431DVGAU2A SV431DVGAU2A Startech-4-Port KVM Switch With Dual Vga And 2-Port USB HUB-USB 2.0-4 Computer(S)-1 Local User(S)-1920 X 1200-8 X USB10 X Vga. New Retail Factory Sealed With Full Manufacture Warranty. 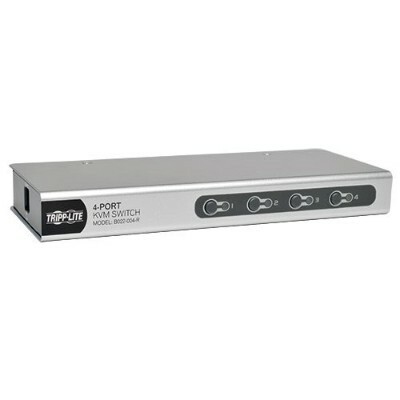 Hewlett Packard - 372032-A21 4 PORT KVM SWITCH PN: 372032-A21. SAME AS 371301-011 372032-D71 372032-031 372032-011. 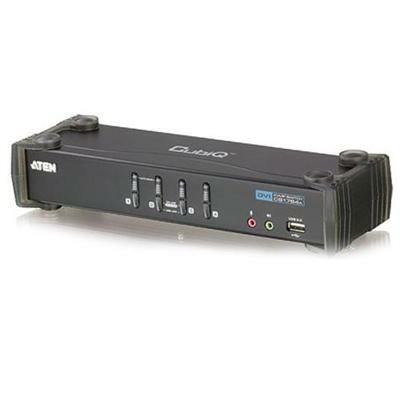 Avocent - SC240-001 SC240-001 Avocent Switchview SC240 4-Port KVM Switch. New Bulk Pack. 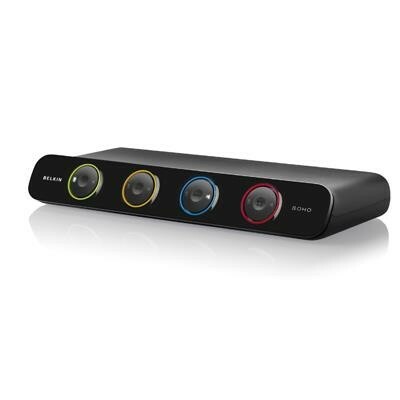 Belkin - F1DN104D F1DN104D Belkin Omniview Secure Dvi-D Dual-Link 4-Port KVM Switch. New Bulk Pack.